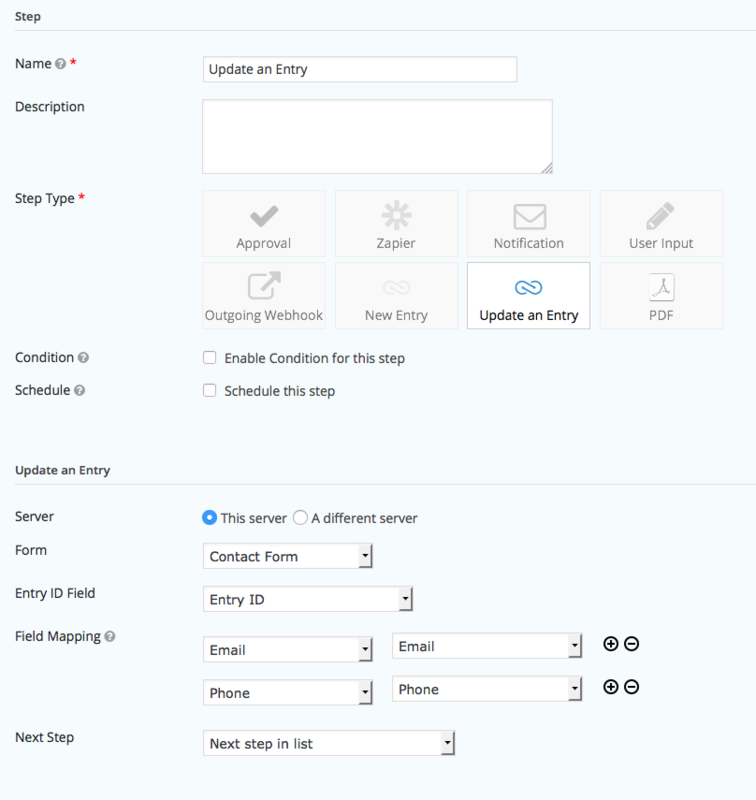 The Form Connector Advanced Extension v1.0 is now available for purchase in the extensions section. 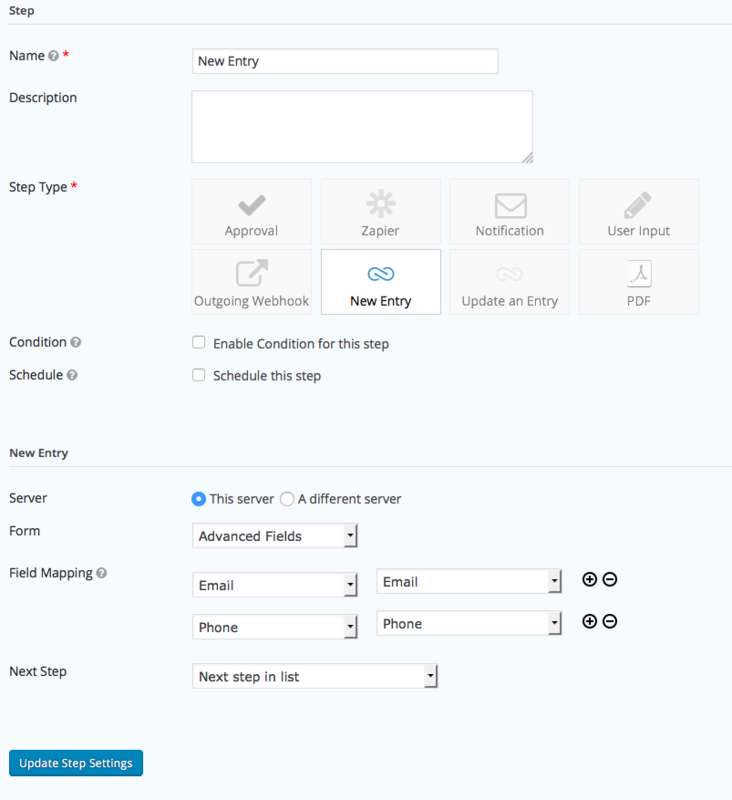 The Form Connector Advanced Extension allows Gravity Flow administrators to create steps at any point in the workflow that can interact with other forms either on the same site or on different sites. 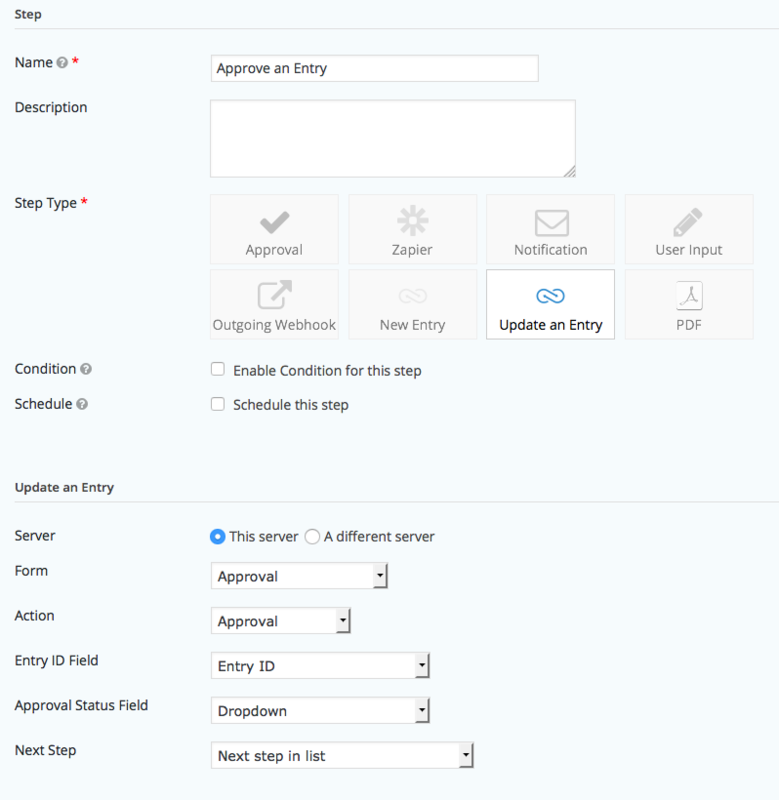 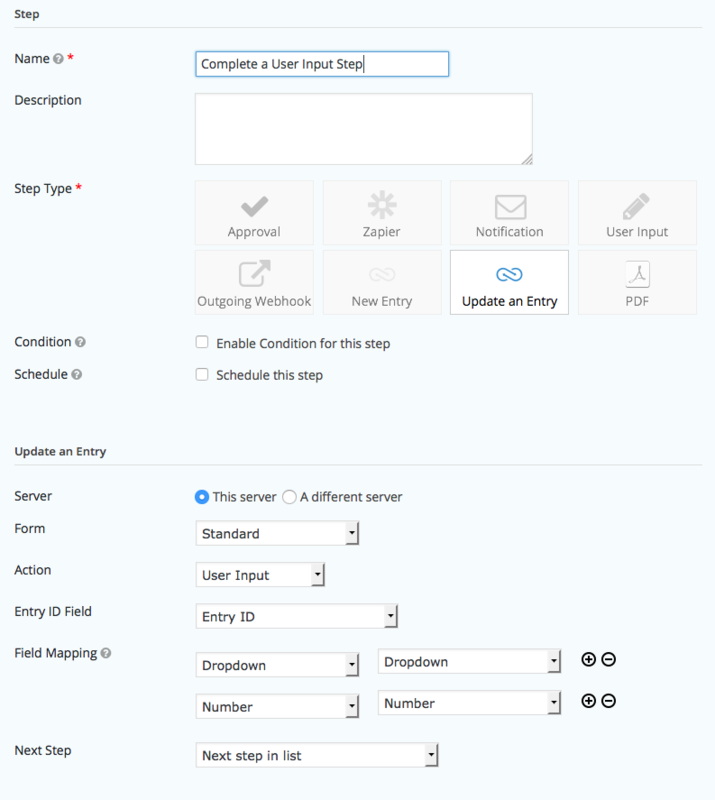 Form Connector Steps can create new entries, update existing entries or complete an approval or user input step for an entry in a different form.